Obituary for Lauretta Petina Johnson | Bell Funeral Home, Inc. Celebrating The Life of Lauretta Petina Johnson. 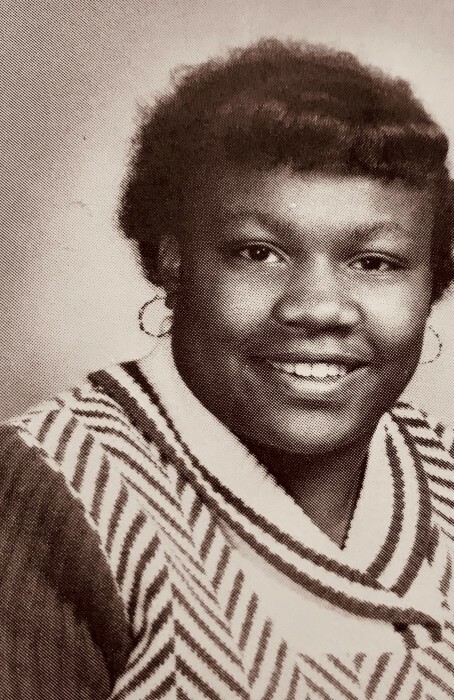 Lauretta Petina Johnson (Tina), 63, passed away peacefully on March 8,2019. She was born on September 26,1955 in Providence, RI. Lauretta was the daughter of the late Luverne (Upchurch) Robertson and the late Jesse L. Robertson. Lauretta graduated from Central High School in 1974. She earned a certificate and became a Certified Nursing Assistant in long term care. This was Lauretta’s Passion taking care of others including her mother. She worked as a CNA until she became ill and retired. Lauretta enjoyed spending time with family & friends. She treasured her time spent with her mother, daughter and grandchildren. Lauretta Johnson is survived by her grandchildren Shaniqua, Shyheim and Haji Robertson, great grandchildren Zadrian and Zariyah Robertson, sisters Sheila, Pamela, Beverly, Paulinda Robertson and Sandra Smith, brother Jesse L. Robertson and best friend Annie Smith. She was preceded in death by her daughter Treina L.Robertson. She leaves behind a host of family and friends and will truly be missed by all.